I started this blog because I wanted to show how jazz is a music that can relate to anyone. April is Jazz Appreciation Month, so I wanted to share some inspiration found from jazz musicians to illustrate that when I talk about learning about jazz I could be talking about learning about anything - it is all transferable. Recently I read this article by Wynton Marsalis: "Wynton’s Twelve Ways to Practice", which inspired this post of mine. In Wynton's article, he shared to seek out instruction, write out a schedule, set goals, concentrate, relax and practice slowly, practice hard things longer, practice with expression, learn from your mistakes, don't show off, think for yourself, be optimistic, and look for connections. It sounds like a mouthful of things, but what I noticed is that all these things apply if you're a musician, a dancer, a scientist, a teacher, an accountant - whatever you want to be! In the following video, "Great Advice from Musicians for Musicians", jazz musicians share a multitude of advice. What it all comes back to, in my opinion, is the idea of being authentic to yourself. Wallace Roney shares, "I played this music when people didn't want me to play this music." This idea of doing something because you need to sheds light on authenticity. It's amazing to me to see the respect jazz musicians have for one another. In a JazzStories Podcast with Wynton Marsalis, Wynton talks about that he liked jazz because he always saw jazz musicians hugging each other. For you have 'lit the flame' of aspiration within so many of us and you have epitomized the superiority of 'excellence of endeavor' and you stand today as a clear living picture and example for us to learn from. This kind of eloquence and humility doesn't have to be between two jazz masters - it can be between family members, friends, teachers. In the following video, "Learning from the Masters", guitarist Russell Malone shares different life experiences and advice from Jimmy Smith to Kenny Burrell. The advice he shared all echoes at this idea of honestly between yourself and others. 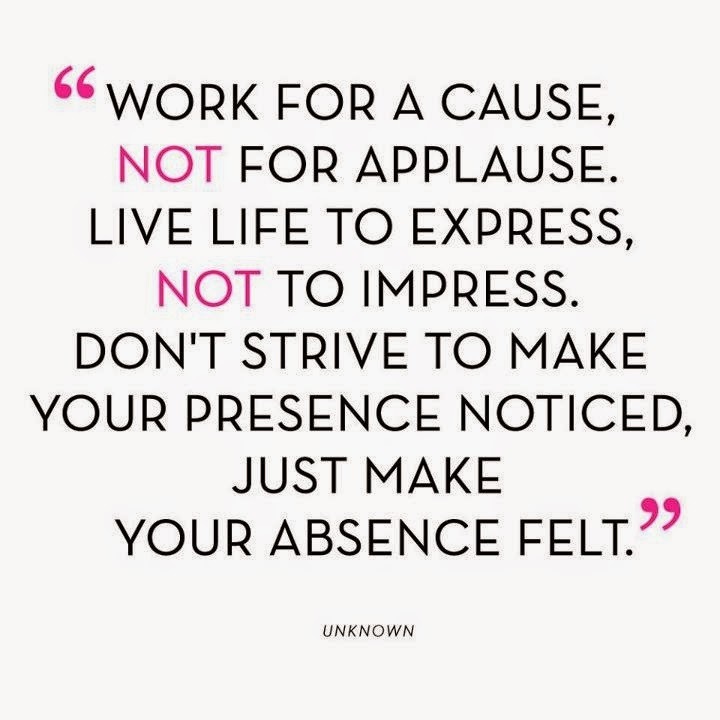 I think best advice I've heard this past year has been that you can't just play or do something for applause. I heard this advice from Herbie Hancock, Wynton echoed it in this article, and Russell Malone shared it in this video. Whenever I am feeling down, I just think this to myself. Meeting Dr. Lonnie Smith at the Montreal Jazz Festival was probably one of the most inspirational moments of my teenage life! We talked for a while about life, music, and soul. And through all this, his passion for life and beauty shined through. In this video, Dr. Lonnie Smith talks about how his passion comes across as electricity throughout his entire being. No matter your age, occupation, gender, anything - jazz can relate to you! During Jazz Appreciation Month, I hope to share more inspirational posts, and would love any input or suggestions. Please visit my jazz poetry blog, "Without a Poem", where I improvise a new poem everyday! This week inspired by haiku, "patience".